Trinity Group launched Trinity Pentamont in Mont'Kiara, Kuala Lumpur, on Sept 27 and has seen 50% of the units taken up. Located in Jalan Kiara 5, the 41-storey tower sits on 2.9 freehold acres and will have 330 units, with majority having built-ups of 2,057 sq ft onwards. The project is expected to be completed by 2022, and has a gross development value of RM437 million. "The key differentiating factors of Trinity Pentamont are what we call the three 'BIGs'. 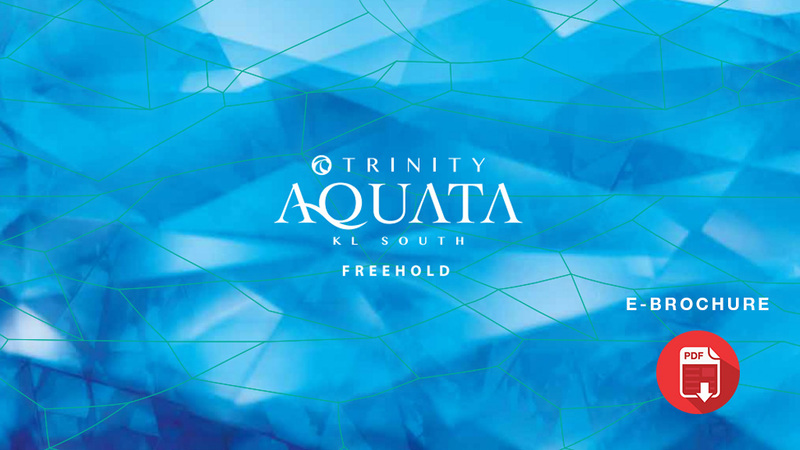 Firstly, Trinity Pentamont is big on value, with prices starting at RM640 psf. Secondly, it is big on facilities for residents. Finally, with built-ups of more than 2,000 sq ft (each), Trinity Pentamont is big on space too, with larger unit sizes than other developments in the vicinity," founder and managing director Datuk Neoh Soo Keat said at the launch. To prove the spaciousness of the units, the developer set up a sumo wrestling ring in its show unit and flew in two sumo wrestlers from Japan conduct a short demonstration. According to Neoh, the target market for Trinity Pentamont are upper-middle-class families with children, upgraders and those who want to downsize. Facilities include a 7m cascading waterfall, hanging tree nest, starlight theatre, junior rock climbing area and infinity pool. 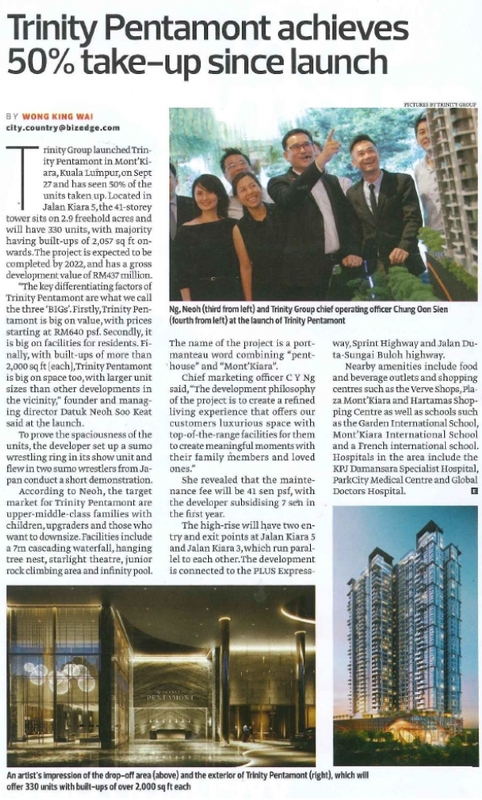 The name of the project is a port-manteau word combining "pent-house" and "Mont'Kiara". Chief marketing officer C Y Ng said, "The development philosophy of the project is to create a refined living experience that offers our customers luxurious space with top-of-the-range facilities for them to create meaningful moments with their family members and loved ones." She revealed that the maintenance fee will be 41 sen psf, with the developer subsidising 7 sen in the first year. The high-rise will have two entry and exit points at Jalan Kiara 5 and Jalan Kiara 3, which run parallel to each other. The development is connected to the PLUS Expressway, Sprint Highway and Jalan Duta-Sungai Buloh highway. Nearby amenities include food and beverage outlets and shopping centres such as the Verve Shops, Plaza Mont'Kiara and Hartamas Shopping Centre as well as schools such as the Garden International School, Mont'Kiara International School and a French international school. Hospitals in the area include the KPJ Damansara Specialist Hospital, ParkCity Medical Centre and Global Doctors Hospital.